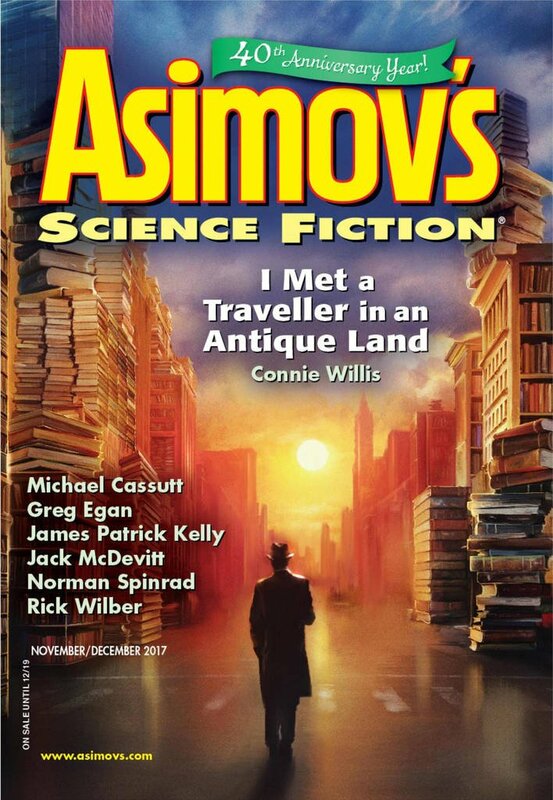 "I Met a Traveller in an Antique Land," by Connie Willis [bio] (edited by Sheila Williams), appeared in Asimov's Science Fiction issue 11-12|17, published on October 19, 2017 by Penny Publications. 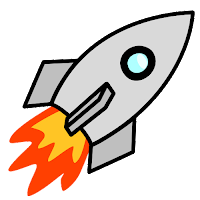 Pro: : The (very literary) plot is that Jim learns that it’s not true that everything of value is saved. Although much of what vanishes was trash, some of it is not—including books he’d loved but now can never read again. Once his lesson is learned, he can never find the place again. The setting is very vivid, and the descriptions of all the lost books are poignant. There's a lot of fun in the names. “Ozymandias” is explained in the text. “Cassandra” was doomed to tell accurate prophesies but which no one would ever believe. The mention of the “Doomsday book” is a reference to Willis’s novel by that name, etc. I'm still wondering about "The Vagabond Boys." Con: Ultimately, it’s all atmosphere and no resolution. He keeps trying to find the bookstore again, ruining his career to no purpose. The narrator takes far, far too long to figure out what’s happening. If he’d asked Cassie the right questions, he’d have found out a lot faster, and his lack of questions seems more of a plot device than anything a normal person would do. It’s not at all clear why she takes him on a tour at all, other than to advance the plot--such as it is. It all goes on for way too long.